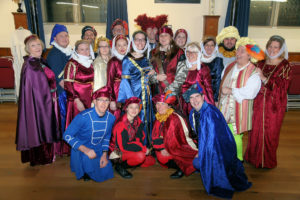 TICKETS are selling fast for the Melksham Music and Drama (MMAD) pantomime, Romeo and Juliet, which takes to the stage next month. Later this year MMAD will be celebrating 50 years of entertaining audiences in Melksham. To mark the occasion, MMAD will be putting on a popular musical, Cinderella, in September at The Assembly Hall, dates to be announced.